1. 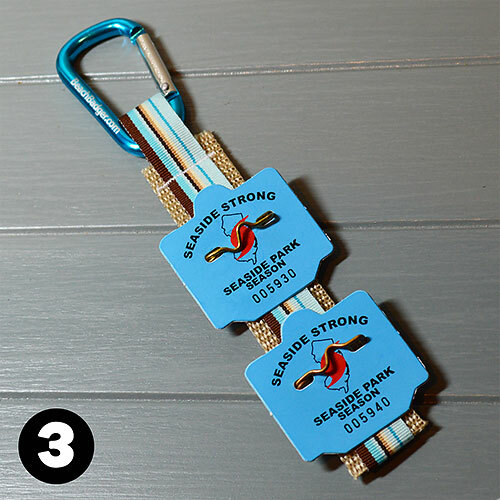 Unclasp your beach badge pin. 2. 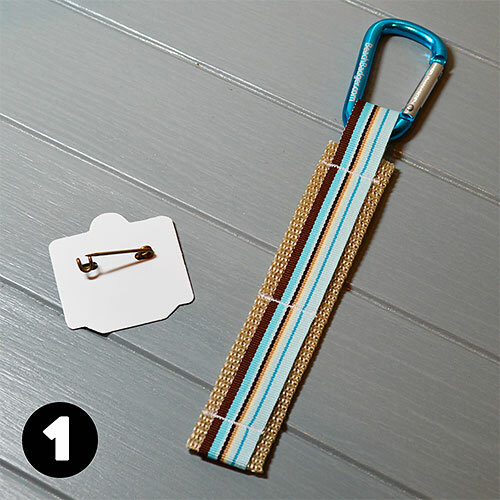 Carefully slide the pin between the strap and the body of the Beach Badger. 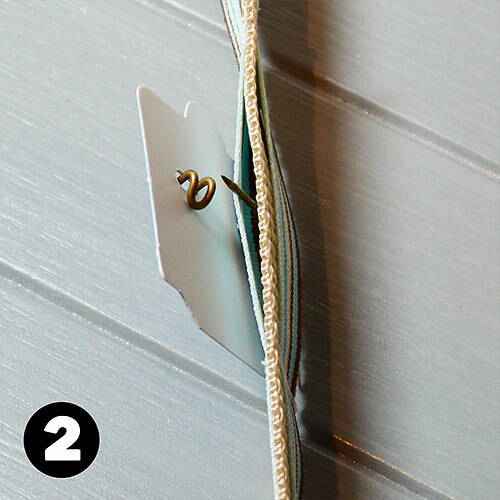 Be sure to secure the pin clasp. 3. Repeat the process for as many badges as you want to carry. You can load up to 4 badges onto your Beach Badger. 4. 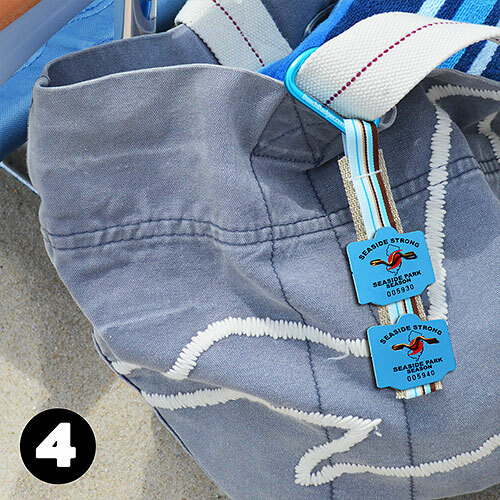 Clip the Beach Badger to anything: your beach bag, bikini strap, belt loop, flip flops, or anywhere else!